Ask fellow campers about "Perdido Key RV Resort & Marina" and nearby attractions. We stayed 7 weeks in December 2018, most of January 2019. Staff were exceptional, rates very fair considering location. A plus for us was the fun activities and access to the intracoastal canal. We carry a Porta Bote for fishing and water access is high priority for us. We were very pleased that we were allowed to beach our boat at the marina with no charge. Sites are well kept. Access to shopping, beaches and National Naval Air museum unmatched. We camped at Perdido Key RV Resort & Marina in a Fifth Wheel. Grocery, hardware is in minutes over the bridge. Naval air museum 20 minutes away . Clean, well cared for park. Close to Gulf beaches. Sits on the ICW. RV sites, marina slips and townhome rentals. Clubhouse with coffee, clean restrooms. Pool is heated and chilled, open year round. Great owners and staff, make you feel as if you are family. We camped at Perdido Key RV Resort & Marina in a Fifth Wheel. We have stayed here numerous times over the years and it's always the same; friendly and clean. It's a fairly small resort with narrow gravel sites. They do offer townhome rentals and have a marina of sorts. The sunsets are beautiful. We come for the location not the amenities. Perdido Key is between Pensacola and Orange Beach, Al. We camped at Perdido Key RV Resort & Marina in a Motorhome. The resort does not have a dog run but is dog friendly. There is a fenced dog park less than 3 miles down River Rd. Along River is a kayak launch and beach access at the end of River across Perdido Key Dr. Little Jons is a great place to rent a pontoon boat. Check out Flora-Bama and Orange Beach, Al which we actually prefer over Pensacola. If you go to Orange Beach take a tour with Dolphin Tales. We had a spot facing the Inter coastal Waterway . Wonderful site, friendly people and lots of marine traffic to entertain. We camped at Perdido Key RV Resort & Marina in a Motorhome. Park is very nice and well kept. Although if you get a pull thru site they can be a little close. Right on the ICW watched many boats large and small go by. There were some long term campers but you don't get the feel as if there is. A little hard to find under the bridge, but it was easy in and easy out for us. The park was every pet friendly, but the state of Florida is NOT. Cannot go on the beaches, or many other places with your pets. But still we will back just know about Florida. 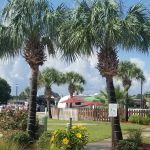 We camped at Perdido Key RV Resort & Marina in a Travel Trailer. Terrible RV park. This place has gone down since new ownership has taken over. Weeds all over especially where grass used to be. Needs some overhaul. Don't see myself coming back. We camped at Perdido Key RV Resort & Marina in a Travel Trailer. My wife and I have stayed at this park 3 or 4 times and have enjoyed it every time. The staff, cleanliness and location suits us just fine. The people that usually stay there are ones that return every year. The park has night security and feels in a safe area. The only drawback is one shower, small bathroom. We camped at Perdido Key RV Resort & Marina in a Travel Trailer. Our first site was on the Intracoastal and it was lovely. The staff here are friendly and helpful. We so enjoyed our stay here. We do not need to be entertained at the camp because we are so close to beach and parks, etc. It is a smaller campground with activities that make it is easy to get to know your neighbors. The facilities and landscaping are kept in top shape. The laundry has 4 washers and driers in good repair. The wi-fi is the best ever! Hardly used any data! We will return! The only tiny bump is that it was confusing when we first entered. We camped at Perdido Key RV Resort & Marina in a Travel Trailer. The Naval Air museum is a must see. There are state and national parks within 30 minutes. Great restaurants and grocery stores. This is a excellent park. Very nice sites with grass in between. Outlined with a curb and gravel pads. Wi-Fi is excellent never slow. They are right on the inter coastal waterway. They have Docks for large boats. RV sites facing the waterway, a playground and picnic area. They do not have propane. The pool is small but very nice and clean. One bathroom/ Shower for males and one for females. No Hot tub. The roads are very tight and a bit narrow if you have a big rig but more than half of the units are large and they manage. There is a over pass causeway right on the east side of the park but it is raised so you do not really get much noise. The staff is great, the actives people have some thing going almost every day. Breakfast every Saturday. Very nice park. We camped at Perdido Key RV Resort & Marina in a Fifth Wheel. My family booked this RV park for 4 days on Memorial Day weekend because other parks in the area had bad reviews about the spots being too close together. Let me tell you that I have never been closer to another trailer than I here. We had to adjust our position 2 times to keep our slide from touching the neighbors table. Also the water and electric is literally right next to your neighbors sewer. The pool is very small. There is no playground for children. And only one shower is available per gender. We were so disappointed with this park that we actually asked for a refund. Of course that didn't happen. All we got was excuses and reasons why sewer and drinking water are ok being next to each other. We left 2 days early. We camped at Perdido Key RV Resort & Marina in a Travel Trailer. We booked a stay at the A & M Perdido Cove RV Resort for the month of March, 2016. From the moment we arrived, we were impressed with this campground. The campground is not very large (I believe 60-65 sites) and is absolutely pristine. The pads are all level, with white gravel edged in concrete curbing, surrounded by grass. The sites are not squished together - you can extend your slides and awnings and still have ample room between your rig and your neighbor's. The picnic table is situated on a level concrete pad that is large enough for us to place our table and grill alongside. Each site comes with full hookups (30/50 amp), water, sewer, and cable - all included in the rate. All your utilities are located on a lighted pedestal which makes setting up after dark easy. Even though there are lights at the end of each site, they are not intrusive. The sites are nice and long and you can park your tow vehicle behind your motorhome with no issue. Cable channels are abundant and the reception is fantastic. And the Wi-Fi....As you fellow campers know, when most campgrounds advertise "free Wi-Fi", it is either mostly non-existent or so slooooooooow, you can't get on except either before 6:00 a.m. or after 11:00 p.m. Not so here! This campground has the very best Wi-Fi EVER! We loved it here & will definitely be back! We camped at Perdido Key RV Resort & Marina in a Motorhome. NAS Museum is just a few miles away and worth the time to go there. Also the Blue Angels usually practice a couple of times a week - you can go on the base to watch. And both are freeeeeeeeee! So much to see & do in this area. Also while you're there, be sure to eat at the Shrimp Basket. Absolutely YUMMY! New name is A&M Perdido Resort, LLC. Spent the weekend in the RV resort and certainly enjoyed the park after we found it. They haven't changed the sign and didn't mention the old/new name when I made reservations so we drove past it and had to call back for directions. Beautiful location right on the intercostal waterway. Boat dock rental and fishing available on-sight. Close to restaurants and other activities. We had a waterfront lot with a great view of the boats, barges traveling the waterway, docks, etc. Park was clean with concrete roads and level gravel lots. The lots were somewhat small and close together for the premium cost. Wi-Fi was very weak/practically non-existent most of the time. I recommend the resort (especially the waterfront sites)and would stay again, but hope they make some improvements to the Wi-Fi. We camped at Perdido Key RV Resort & Marina in a Motorhome. Campground very nice. Nice wide sites, with grassy areas in between. Nearby Bridge noise is not a problem (less noise than being near an interstate or major road). Close to numerous activities. Pads a little tight due to curbing, but no big deal. View is great. We came here for one week and extended our stay for a second week. Two Restaurants within walking distance. Wifi excellent. Staff very friendly. Rate is weekly, deluxe water front. We will definitely be back. We camped at Perdido Key RV Resort & Marina in a Motorhome. Naval Air Museum a must to see, expect two days to see it all. If you are there during Blue Angels Practice, great show. Of the two restaurants within walking distance Sunset Grill was our favorite. Oyster Bar had very bad service. Joe Patti's Seafood store (about 19 minutes away) in Pensacola is a must if you like seafood. The store is huge and has a great selection at reasonable prices. Watching all the boats and barges on the Intercoastal Waterway is the best. We stayed for 5 days in early May. The park was mostly empty. We enjoyed our time here. Staff on duty was helpful and friendly. It was obvious they valued our business. Initially I thought the streets would be difficult to maneuver a 40' fifth wheel, but they posed no problems. The only issue in leaving the park was that because of our length, we came close to hitting an electrical unit which was at the end do our site. In face we gave it a slight nudge. The restrooms and laundry are excellent. We will stay here again if we are in this area. 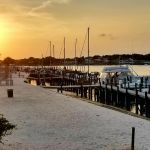 We camped at Perdido Key RV Resort & Marina in a Fifth Wheel. Caution: iPhone maps may not take you to the correct address on River Road. When approaching the park from FL 292, take the first street to the left after crossing the bridge (Gongora Dr). Then turn left on Don Carlos which dead ends at River Road. Turn left on River Road and cross under the bridge to the Park. If you are a big rig, make a wide right turn to enter the park. Be sure to see the Blue Angels practice on Tuesdays and Wednesday's. It is free. Be early if you want a bleacher seat, or bring your own lawn chairs. They begin promptly at 11:30. Also take in the Naval Aviation Museum. The beach is only a short distance. The beaches are beautiful. This small but very well maintained RV Resort and Marina is located near a noisy bridge which was the main distraction for me. I was surprised to find that the sites are gravel. We had a beach-front site which was nice, though small. There was a lovely little pool with some seating around it. Other than the road noise, it was very relaxing to watch the barges and boats sail along the inter-coastal waterway. We met the new owners of this resort, and they seem interested in making this resort even nicer. There are adjacent townhouses (6 or 7) that they plan to change from long-term lease to rentals which may be nice for families of those staying in the Resort or Marina. It was very pretty, just pricey. No changing the road noise. We camped at Perdido Key RV Resort & Marina in a Motorhome. Close to Blue Angels, who practice Tues and Wed at 11:30 (free). Joe Pattie's is where you can buy all the fresh seafood you can imagine. Try the Oyster Bar for lunch - sit outside - within walking distance of the Resort. Hub Staceys, kind of a dive, but excellent chicken salad and Cuban. Downtown Pensacola, try the Wine Bar and ask for the server's recommendation. Wine 1/2 price during afternoons. Caution: iPhone maps may not take you to the correct address on River Road. When approaching the park from FL 292, take the first street to the left after crossing the bridge (Gongora Dr). Then turn left on Don Carlos which dead ends at River Road. Turn left on River Road and cross under the bridge to the Park. If you are a big rig, make a wide right turn to enter the park. Be sure to see the Blue Angels practice on Tuesdays and Wednesday's. It is free. Be early if you want a bleacher seat, or bring your own lawn chairs. They begin promptly at 11:30. Also take in the Naval Aviation Museum. The beach is only a short distance. The beaches are beautiful. 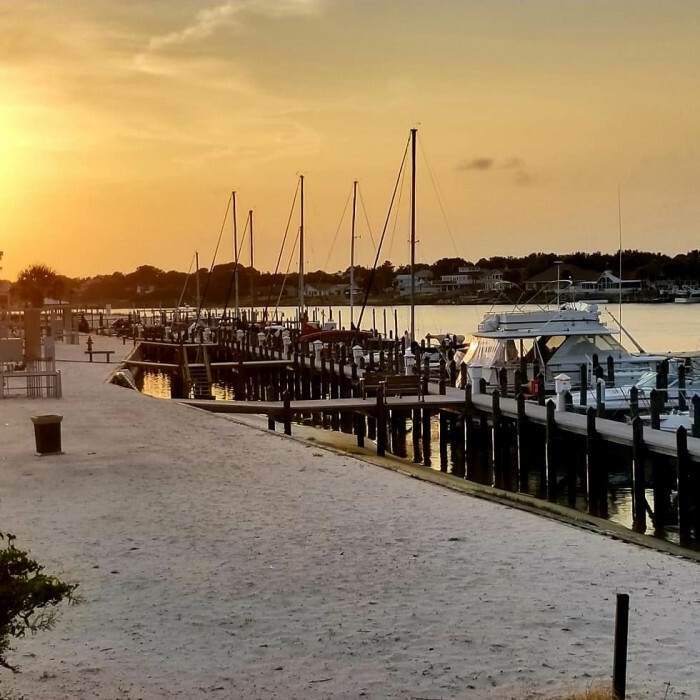 Are you affiliated with Perdido Key RV Resort & Marina ?